Well, we have finally come to the last arc in the Fantastic Four #1-67 run I started a little over four years ago! 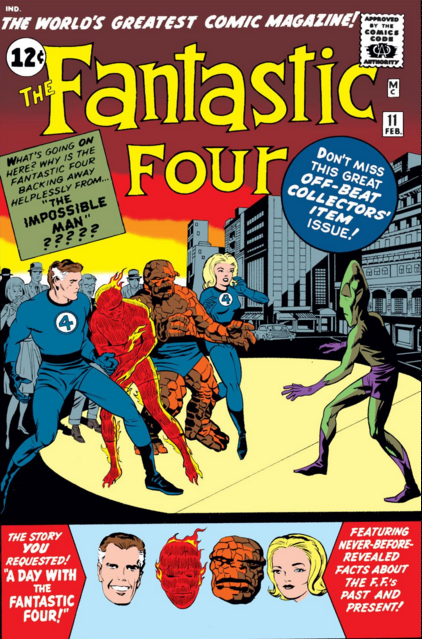 I believe the Fantastic Four were still in print when we started, they were cancelled in June 2015, and have made a triumphant returned to the Marvel Universe in August 2018. 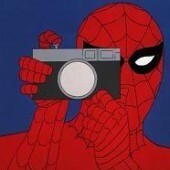 This post will also serve as the last one in the “First Six” series that has been going on here for the past year and a half. My efficiency expert will be pleased. 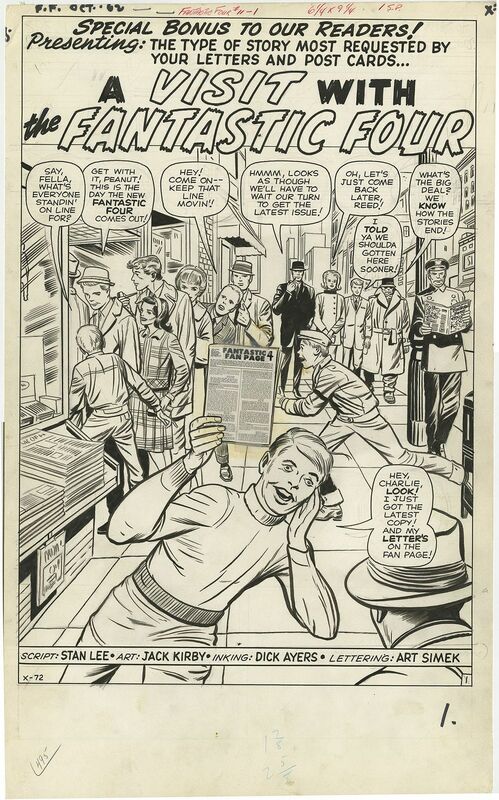 It took me so long to get to the first few issues of the Fantastic Four that good old Walt covered the first five issues for me in the Undervalued Spotlight: #1 (Undervalued Spotlight #10), #2(Undervalued Spotlight #269), #3 (Undervalued Spotlight #402), #4 (Undervalued Spotlight #237), and #5 (Undervalued Spotlight #378). I thought about holding out to see if he would finish it off by doing Fantastic Four #6 but it was no dice. So today I will do Fantastic Four #6 and then quickly run through the arcs I didn’t cover in the #1-67 run. 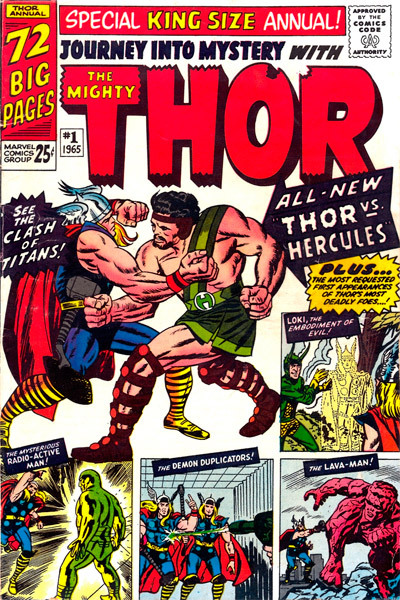 This issue is mostly famous for the first super-villain team-up in the emerging marvel universe. 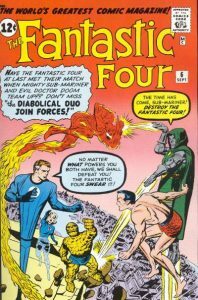 Doctor Doom and the Sub-Mariner made a powerful duo, one that I can only remember the Fantastic Four having to face in this issue. These two next join forces in a battle with Modok and a quest for the cosmic cube in Sub-Mariner #47-49. This was followed by Giant-Size Super-Villain Team-Up #1 & 2 and a seventeen- issue series of Super-Villain Team-Up. In almost all cases Doctor Doom found ways to use or dupe the Sub-Mariner into being his powerful lackey. This first team-up must have been the template. 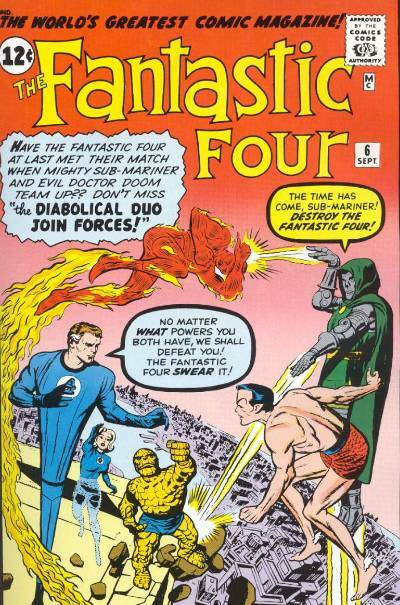 Doctor Doom seeks out the Sub-Mariner and eventually convinces him to join forces and destroy the Fantastic Four. Well, not all four, Sue Storm the Sub-Mariners love interest must be spared. Doom agrees and a plan is set in motion. 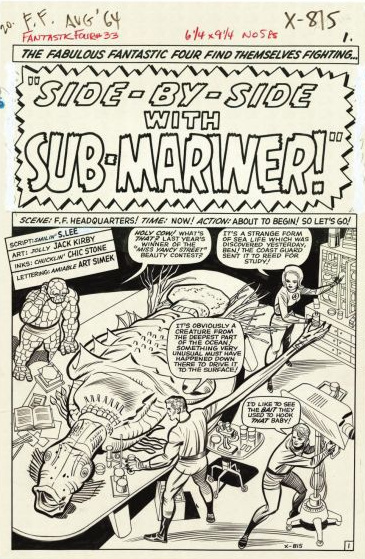 The interest the Sub-Mariner has in Sue Storm appears to be reciprocal as Sue has a picture of the Sub-Mariner hidden on a book-shelf at the Baxter Building. The Sub-Mariner arrives at the Baxter building and a battle with the Fantastic 3 (Sue won’t fight him) begins. Meanwhile, Doctor Doom unleashes a powerful magnetic ray that moves the Baxter building towards space and destruction in the sun. The Sub-Mariner now realizes he has been betrayed by Doctor Doom (better get used to that Subby) and he begins attacking Doom’s ship. The allegiance is broken and all five finally take down Doom and the Baxter building magically returns to earth intact. That had to be magic right . Our two villains return separately to haunt the Fantastic Four in issue #9 (Sub-Mariner) and #10 (Doctor Doom) respectively. The Sub-Mariner romance eventually dies out and Sue and Reed Richards marry and live happily ever after. I was never a huge fan of any of these books. Issue #7 is the weakest entry of the group in my opinion. A very average cover and story. Issue #8 was also a recent Undervalued Spotlight (#376) featuring the first appearance of the Puppet Master. A long-time Marvel villain often teamed up with Mad Thinker or Egghead and he caused considerable headaches (couldn’t resist) for anyone caught in his magic clay. 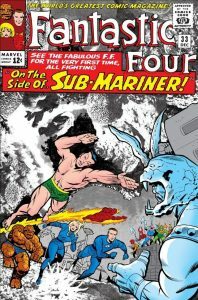 Issue #9 the third appearance of the Sub-Mariner. Issue #10 third appearance of Doctor Doom and his body-switching device (I did like this book). Issue #11 the first appearance of the Impossible Man. I couldn’t stand this guy when he first came out. He reminded me of your best friend’s little brother -who just won’t go away. He did get a little better for me over time. Issue #22 the return of the Mole Man is a solid issue as is issue #23 featuring the 6th or 7th appearance of Doctor Doom in the pages of the Fantastic Four. They just didn’t have the wow factor going for it for me and were followed by the weak Overvalued Overstreet pick Fantastic Four #24. There was not enough meat on the bone for me to write these books up in a separate post. No wow in this little arc for me either, but solid “run” books. Issue #31 features another Mole Man entry. I am starting to wonder if I was trying to avoid the guy. Franklin Storm (Sue and Johnny’s father) appears in this book as a surgeon who late in the book saves Sue’s life. She is injured with shrapnel in the Fantastic Four’s battle with the Mole Man. The Avengers make a cursory appearance in the book, really not required. 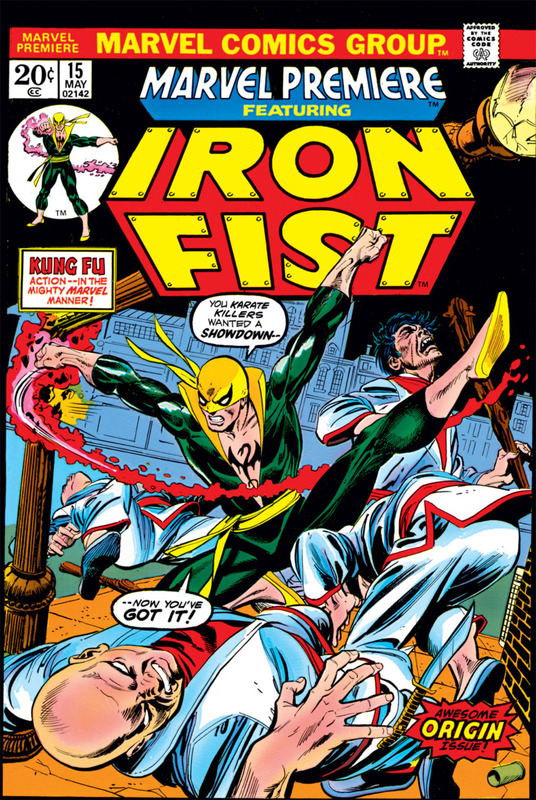 Issue #32 features the first appearance of the Invincible Man who turns out to be The Super-Skrull last scene in FF#18. Franklin Storm is killed in this issue and bids a tearful farewell to his siblings. 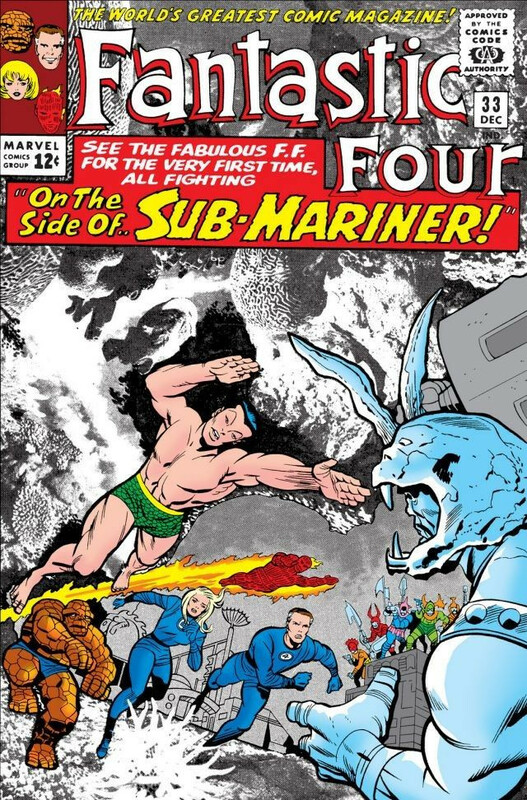 Issue #33 has a cool cover and story as well with the Fantastic Four coming to the aid of the Sub-Mariner (at Lady Dorma’s request) in an undersea battle with Attuma. Finally, the weak-kneed book of this group Issue #34 and the Fantastic Fours battle with millionaire Gregory Gideon and a wager over money. A potential candidate for the Overvalued spotlight. Issue #41-43 is a three-issue battle between the Fantastic 3 and the Frightful 5 as Ben Grimm has quit the Fantastic Four and has been absconded by the Wizard to fight for him with a mind control device. The battle eventually plays out as it should, with a few tense moments, Ben Grimm does break free of the Wizards mind control doo-hickey and the re-united Fantastic Four take out the Frightful Four. This “I quit” by Ben Grimm becomes a favourite device for Stan Lee going forward to the point of nausea for me. Medusa leaves the Frightful Four and shows up in the next issue #44 with Gorgon as part of the Inhumans. 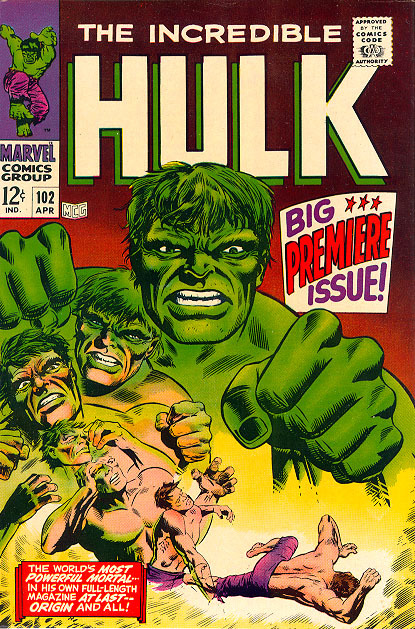 Looking back, I think you could make a case for additional Arcs & Runs right through to Jack Kirby’s final issue #102. 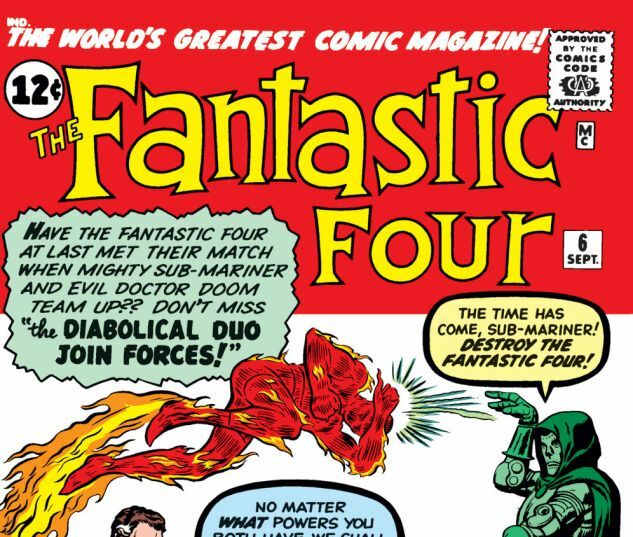 I was always a fan of Fantastic Four #72-76; maybe I’ll get around to that someday. Fantastic Four #1-102: what an awesome run. A final bow for Jack Kirby and Stan Lee for their great work on this unsurpassed run of comic books. Listed below are the 48th Overstreet values for Fantastic Four #1-6. Continued good luck filling your want lists! FF 6 is undervalued in my opinion. I also can’t wait to see what they do with them in the MCU. It’s spec crazy right now in the market for them.